Garden Ridge, Texas makes a unique statement in relaxed, semi-rural living northeast of metro San Antonio. The community also presents a lovely, small town environment with plenty of residential amenities and desirable homes for sale. A wide variety of available homes here appeal to every age group and family size. The community is in an area known as Metrocom and in close proximity to Randolph Air Force Base, such as Cibolo and Schertz. Like these adjacent communities, it occupies a beautiful Texas Hill Country setting. Many military families find Garden Ridge homes for sale attractive because of the east commute to the air base. There is still a diversity of buyers who find interest in the town’s relaxed, country ambiance and spread out neighborhoods. Garden Ridge is brimming with old west history, like most of the San Antonio region. Garden Ridge TX real estate boasts an open-space feel and family-friendly focus. Garden Ridge TX real estate includes homes on spacious lots or on several panoramic acres. When it comes to neighborhood and home amenities, plenty of exceptional options drive the market regularly for the town. Homes with acreage are big draws and make up a large percentage of available real estate in this quiet community. Homes for sale in Garden Ridge TX range in price from about $325,000 up to $885,000. Home sizes range from about 2,194 square feet up to 4,852 square feet. Garden Ridge TX real estate is served by the Comal Independent School District. Students of the district attend Garden Ridge Elementary School, Canyon Middle School, and Canyon High School. This district is recognized by the Texas Education Agency as exemplary. 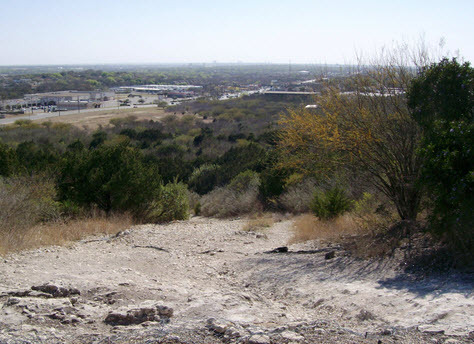 The city is only 20 miles from downtown San Antonio and 12 miles south of downtown New Braunfels. The Interstate 35 is right by the city, so residents have easy access to get anywhere for shopping, dining and night life. Garden Ridge features a lot of open space and natural wildlife. Many of the attractions in this community are outdoorsy. Some major attractions for family fun include Morgan’s Wonderland, Natural Bridge Wildlife Ranch, Cypress Valley Canopy Tours, Natural Bridge Caverns, Bat Conservation International’s Bracken Bat Cave and the Comanche Lookout Park. Please contact McNabb and Co if you would like more information about the homes for sale in Garden Ridge TX or for any questions you may have about San Antonio real estate at 512-667-9129. Find Garden Ridge Real Estate, Including Homes for Sale and Lifestyle Info. Beautifully appointed and fully customized Tuscan styled One Story home on 1.29 Acres. A very sophisticated home area network (HAN) completes the elegant design and architectural details of this spacious home which overlooks a sparkling pool and spa. The Game room is also wired to be a Media Room, or could double for extra sleeping or a Guest Room. Impressive storage areas. Plantation Shutters. HEOS multi room sound play, security cameras. 5 burner gas cooktop with pot filler. Elegant Lighting. 12' Buffet w/Wine storage. Don't miss out on this distinctively built G. Michael home, meticulously maintained and upgraded by current owners! Each bedroom enjoys it's own bath. Spacious game room/media room can also double as a guest room. Outdoor entertainer's delight, wired for TV and music and lots of patio areas. New hardwood floors, impressive storage areas and gourmet kitchen complete this lovely home. Welcome home to the wonderful community of Forest Waters. This large two story home has plenty of room for it all. Multiple living areas, Formal dining area, open kitchen with breakfast bar, and a guest suite down. Upstairs you will find a completely remodeled spa like master retreat with bonus room that could be a sitting area,nursery, or office. Upstairs there are also two additional bedrooms, a bathroom, and an over-sized laundry room. You will love the outdoor living space with in-ground pool (with diving board) and spa. The large backyard has plenty of room to play. This neighborhood does not have a mandatory HOA, but they do have a neighborhood club (The Club at Garden Ridge) that you can join to enjoy a full fitness facility and more. Stunning, energy efficient 3/2.5/2 all brick, 3,041sf one-story with standing seam steel roof. Located on cul-de-sac lot with view of lake. Desirable floor plan with split master bedroom, plenty of wood and tile floors, Silestone kitchen counters, two full size ovens, huge screened porch, well maintained. Central HVAC has electronic filtration for extra clean inside air, well over 12 of insulation, roof radiant barrier, CPS recognition as one of the most energy efficient homes in Forest Waters. Near IH 35, Loop 1604, Randolph AFB and plenty of shopping. Garden Ridge has many community activities and clubs and highly accessible city government meetings. CALL THIS LOVELY SPACIOUS GARDEN RIDGE ESTATES 5 BEDROOM HOME NESTLED ON A MATURE TREE COVERED LOT, AN IN-GROUND SWIMMING POOL & LUSH ESTABLISHED LANDSCAPING YOURS! The home features: walls of windows inviting all outdoors, great room & master bedroom rock gas log fireplaces, rock accents, custom cabinetry throughout, charming kitchen with granite & Teak wood counter tops on island & custom cabinetry, master bath steam shower, working radio in intercom, some double pane sliding glass doors & more. The washer, dryer & refrigerator convey. Minutes to The Club of Garden Ridge, Randolph Air Force Base, Garden Ridge Elementary & a new Comal ISD High School under construction on FM 3009.